Back in December 2016, we reported on a lawsuit brought by a Preston Tower resident. In that case, the HOA board was sued for shifting home repair costs to residents after a 2015 catastrophic flood resulting from an unmaintained water pump. According to court documents, the HOA chose to shift the financial burden away from their own building insurance at the suggestion of that insurance company. Soon after that story was published, that resident won (nothing to do with us, we reported late in the game). 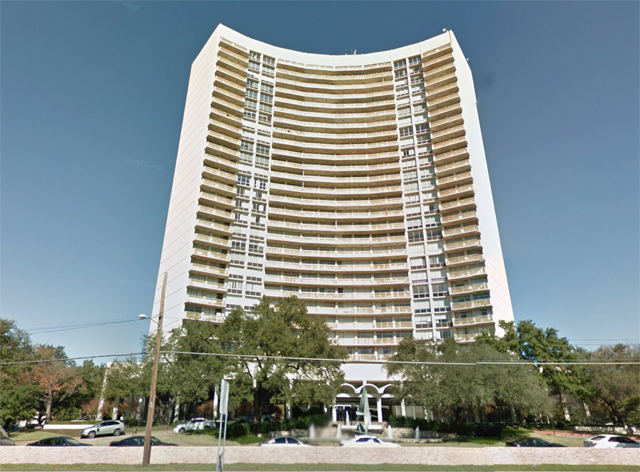 On March 6, 2017, Preston Tower owners Sanjeva and Madhu Khemsara filed suit against Preston Tower for water damage from a different source. For over two years, their penthouse unit has been the victim of a persistent leak or leaks likely originating on the roof of the building. Like many high-rise roofs, a roof isn’t just a roof. Over the years, in addition to existing HVAC pipes and equipment, various communications antennas and other equipment have been installed. For every new thing on a roof, there’s the potential to create a tear in the roof’s seal. The maintenance of the roof and HVAC equipment is (obviously) the responsibility of the HOA, not the resident who lives below. Prior to this suit, court documents state that the Khemsara’s made many requests for repair … for over two years. The plaintiffs claim the results of the repairs were always short-term fixes, sometimes lasting hours. While there is suspicion that HVAC pipes are to blame, no definitive cause has been established. 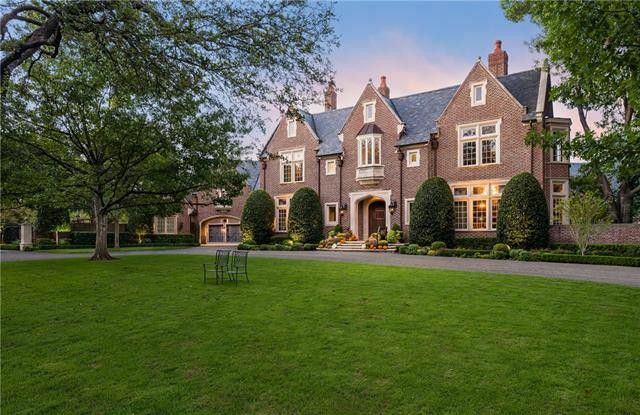 A beautiful $2 million amenity center is the crown jewel of Merion at Midtown Park. Where can you find a new home inside the loop for less than $500,000? No, this isn’t a trick question. It’s nigh impossible, and if you want a new build, be prepared to wait as most homes are taking ages to go from teardown to move in. 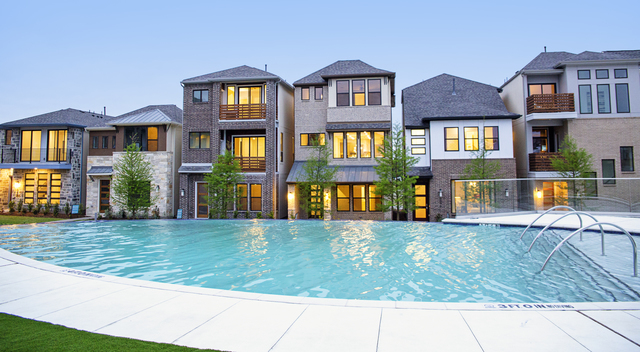 Or you could buy a brand new custom home with a low-maintenance floor plan with access to a resort-style amenity center in a quiet, gated enclave near Walnut Hill and North Central Expressway. It’s a brand new development from Hines called Merion at Midtown Park, and it gives homebuyers something they’ve been waiting for — brand new homes at affordable price points in a convenient location. 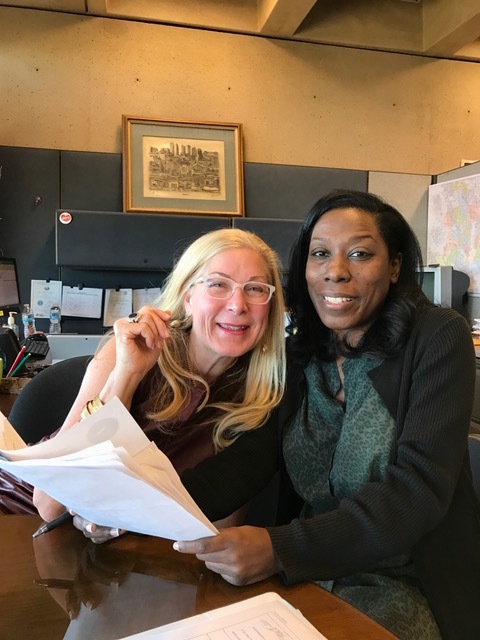 Candy Evans files her paperwork to run for Dallas City Council’s District 11 seat with Bilierae Johnson, Assistant City Secretary. I am excited to announce that I have completed the process to run on the ballot for Dallas City Council District 11 in the May 6, 2017 election. The balloting process is fascinating, and actually made me a little tear-y: You swear to uphold the Constitution of the United States, a tremendous and serious responsibility. That Constitution has been protected through thick and thin, a whole lot of sacrifice spanning 241 years. Our visit to Pearl Harbor flashed across my mind. I know the political climate on the national scene is stressing a whole lot of us out, which the American Psychological Association confirms: Americans are more uncertain than ever about things taken for granted, and the economy ranks near the top of the stress list. Starting at a grass-roots level, I want to do something about it.